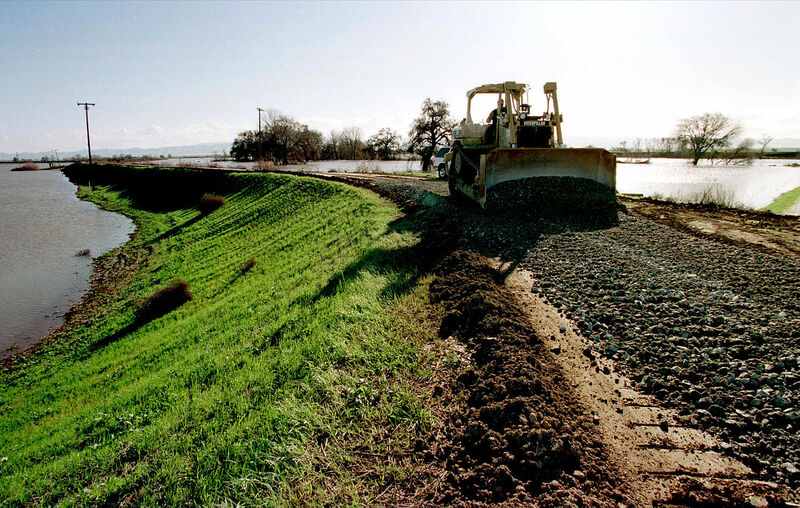 Crews are working to repair damage to the Central Valley’s levee system. 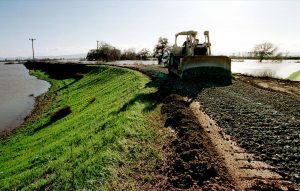 The situation at Oroville Dam garnered national attention and brought into clear focus the limitations of our aging flood protection infrastructure – California’s complex system of dams, levees, and bypasses – as well as the need for greater investment in maintaining and upgrading this system. It is appropriate, then, that Governor Brown recently unveiled a plan to bolster dam safety and flood protection. By requiring emergency action plans, beefing up our dam inspection program and increasing our investment in emergency response, Governor Brown is taking an important first-step in tackling this difficult problem. This comes at an especially important time as infrastructure maintenance is at the forefront of state and national discussions, and we still have a few months to go before we are out of the rainy season. 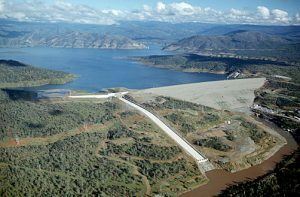 Oroville Dam is located in the Sierra Nevada foothills about 80 miles north of Sacramento. At 770 feet, it’s the tallest dam in the U.S. The crisis at Oroville Dam in Northern California has abated, but problems could return with more rain in the forecast for later this week. If you haven’t heard, the reservoir behind the dam reached capacity last weekend, sending water over an emergency spillway for the first time since its construction in 1968. 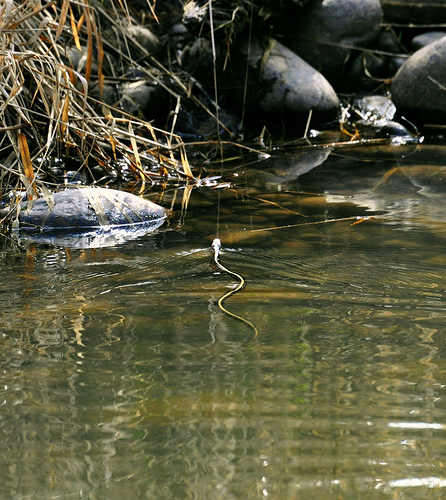 Authorities ordered more than 180,000 people downstream to evacuate their homes over concerns that the spillway could fail, sending an enormous uncontrolled rush of water down the Feather and Sacramento Rivers. While the evacuation order has since been lifted, our thoughts still go out to those affected. We continue to monitor and try to make sense of the situation, and while many lessons will eventually be pulled from this experience, there is much to reflect on today.